I had a different title but honestly, this fits. Because to me the Fandom really DOES feel like home in a way. “Fan-mily” is one of my favorite terms, originally coined by Sara at What Happens On The Backstreet. It’s a great term and it’s really unified the fandom in a lot of ways. (She’s also one of my favorite people). Mind you, we’re a bit of a dysfunctional family…but that’s fine. Because we’re there for each other when we need to be. And no matter where we go, if we’re with our fandom buddies, we’re home, am I right? Now here are some other great moments people have had in his fandom. If you’d like to send in yours, you TOTALLY can and when I get enough I’ll do a Part 3! Just email me at bsbdarkside@gmail.com or send your submission here if you’d like. If you’re a member of the BSB FC or the TDS forum, you can send it in there too! Let’s get some warm fuzzies going! This fandom is unlike any other. It truly is a fan-mily. Its so awesome the people I’ve met not in person but just to have people you can talk to, who are passionate about the same things as you. Who don’t even really know you but will support you through anything. The way we support & celebrate each other is awesome. I’ve never felt so much love from a fandom & people I’ve never met face to face. Because of you I never feel truly alone. Thank you. I started teaching while in graduate school back in 2006 just as a way to supplement my income and decrease my loans. When the economic recession hit and hiring budgets froze across America in 2008, I ended up teaching a few years longer than I had planned to. By about 2010, after a few years of teaching in higher ed, I realized I enjoyed the freedom of teaching at the university-level because my position allowed me to work a full-time job with the flexibility to travel to see the Backstreet Boys and other bands that I am passionate about. (Side note: Backstreet has never been to my hometown; the closest they have come is 272 miles away; I’ve traveled more than 98K miles in total since about 2000 — yes, I’ve been keeping track all these years!). Twelve years later I’m still in higher ed because the flexibility allows me to feed my passion for the Backstreet Boys. I would never consider leaving higher ed and “starting over” in the private sector where I’d have to do lame things like request time off, track vacation/sick leave, explain to supervisors why I’m requesting leave, etc. in order to see BSB. Last summer, I accepted a small promotion that granted me even more flexibility because half of my workload is now to teach online classes. I can do about 75% of my job remotely. This allows me the utmost flexibility to attend cruises, multi-city tour dates, Vegas shows, etc. without having to compromise my professional duties. Educational goals: In order to advance in higher ed, I am currently pursuing a PhD. Getting a PhD was never on my radar growing up. It is, in part, because of the Backstreet Boys that I am pursuing a PhD so that I can continue working in a flexible career. Not only am I the first female in my family to have earned a graduate degree, but I will also be the first in my family to earn a PhD. I credit a lot of that to my devotion to BSB (and a little bit of FOMO on BSB events should I get a private sector job!). When I was watching TRL on my tube television in high school, never in a million years did I think I would ever be able to see BSB in concert. I accepted my fate that BSB would never set foot anywhere near my hometown and that I would have to live vicariously through fans sharing their stories in chat rooms on AOL. At that age, I never could have imagined in the next 20 years I’d meet them so many times that they’d recognize me in public, that I’d go on cruises with them, or that I’d travel the world to see them in concert. I never could have imagined that this fandom would allow me to be something much greater than I ever thought I could be in life. Without a doubt, the Backstreet Boys have influenced my professional, educational, and social life in ways I could never have imagined. I am eternally grateful to them, and they will probably never know just how much of an impact they have had on my life. A smile, wink, or wave from the stage may seem like they have just made a fan’s childhood dream come true, but for me, a smile, wink, or wave from the stage validates so much more. It validates every single decision I have ever made over the last 20+ years that I have been a fan. Thank you! My story is likely relatable to many other fans. I’ve dealt with depression pretty much most of my life, starting at the age of around 13. It caused an eating disorder, I had to get home schooled for a year, and I had to go to counseling, but it never helped me. For whatever reason just sitting at home watching hours of recorded VHS tapes of BSB brought some light back. My sister loves them too, so a lot of the times she would watch them with me. That was the first of many times I turned to them at my darkest times. Sometimes it’s a song that can get me out of my funk, sometimes it’s watching a goofy interview that makes me laugh. But I’m happy I have something to turn to, and it always seems to help. My mom also went into a really bad depression 5 or 6 years ago and I would come home and hear Millennium blasting through the house lol. They are pretty much something my whole family enjoys, but especially me and my sister. At any occasion if a Backstreet Boys song comes on it literally makes the night better for both of us, because we go crazy (sometimes there is alcohol involved). And now, my sister just had a baby and we are trying to get her 1 month old started on BSB early. For whatever reason we picked ‘Shape of My Heart’ as her song (I think it randomly came on first), and we play it for her over and over hoping if she’s ever in a really bad mood and won’t stop crying the song will help her calm down. We haven’t had to use it yet, but I’m confident our plan will work lol. That’s pretty much my story. They’re my happy place. I live in the states but I am Italian… 3 years ago I got to join the team of @BsbItalia … I got so many friends, true friends… the kind to jump on a train to come to Rome when I am back in Italy and the kind that are always ready to listen to my… everything… cry with me, rejoice with me, be crazy with me, listen to my complaints and problems at any time of day (and nigh. I’m in the east coast so it’s +6 hours for them)… This fandom made me feel like part of something bigger. I am close friends with people from all over the world, one that is now in Paris and shared a great news with me, something she trusted few people with, above all.. I got to be proud when one of my friends from Italy won the contest for the European cruise and got to sing with Kevin, I was home crying with pride for the outstanding performance they gave together. I get extreme support from @BsbItalianCrew not only Backstreet Boys related stuff but in life. Of course, as a human being, it’s hard to click with everyone, but I do with most of them… and I’m happy every time my friends get to meet them or see them because it’s as if I’m being there meeting the Boys with them! I couldn’t have asked for more! I love the pure love that I’ve felt since I joined the “social” side of the fandom. I love how we stick together through thick and thin, I love how we support each other and fangirl together, tweeting about their major events… that’s my personal experience with our big “Fanmily”… it’s “Ohana” that means family… and in a family none gets forgotten or left behind! And it’s pretty damn amazing to be part of it! Even before I met the Backstreet Boys, I have done a little bit of freelance stuff. But I knew the career I have chosen is to become a freelance writer. AT first, what pushed my career to become a freelance writer is with album and concert reviews. I was then able to treat the path to continue with my chosen career as a freelance writer. 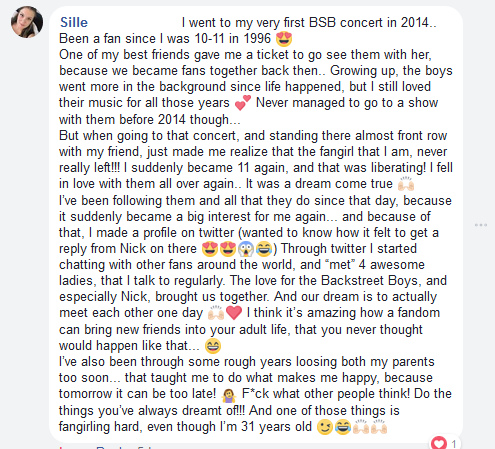 When I started to write for fangirlinglife.com with Karah, who nicely took me in as one of her guest writers, that is when I felt the BSB Army love. Just knowing that fans are reading what I write and in places all over the world, whom I have not yet even met but knowing that online they are there to find time to do that touches me the most. At present, I am a contributor writer for a religious publication, as a freelance as well. I love being able to balance my time for it. Moments when it got all so crazy for me, my passion with words has become more than a career but therapeutic. It helps to be able to put my thoughts into words than to keep it all inside. 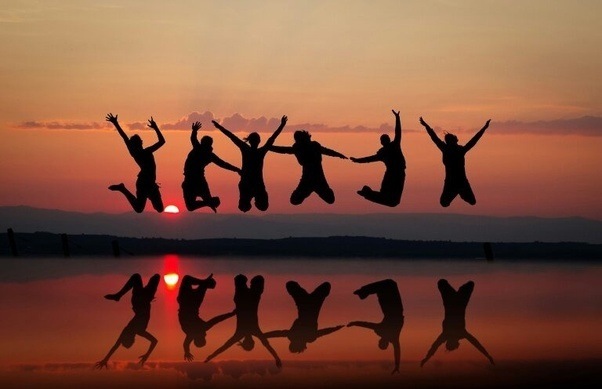 My family has always been there for me thru the very tough times and with BSB fanmily, I found a new home and it means so much to be able to find a connection with them. I’ve already gotten a lot of slack from people I do not even know just because I love the Backstreet Boys. Before, I had no problems with it but lately and in the past years, it has gotten all the more harder with rough patches. But the more I express my love for the Backstreet Boys, the more people try to interfere and not let me be just me. As if I don’t get enough BS in life, but seeing those hurtful things, is painful on why they want to gang up on me just because I love the Backstreet Boys. I never felt so much slashes and backstabbing just for my BSB love. Being given a new venue to do that and let the world know of my love and passion for the Backstreet Boys does lift me up. My whole family knows it is the Backstreet Boys that I do love. I do not like being forced on. But with the BSB, it really is my love and passion, not just for the music but it feels like home, as the song goes. Little bit teary eyed now because most of the time, it’s just been me when I go see the Backstreet Boys. Even when people are trying to stop me from loving the boys, I still love them. My family is all I have and with BSB fandom, I have found a new home as well. Being a BSB fan has given me so many things over the past twenty odd years. Right now I just want to share a story that I remembered recently, about the first time I bought a BSB album for myself, which was also the first time I drove a car by myself. 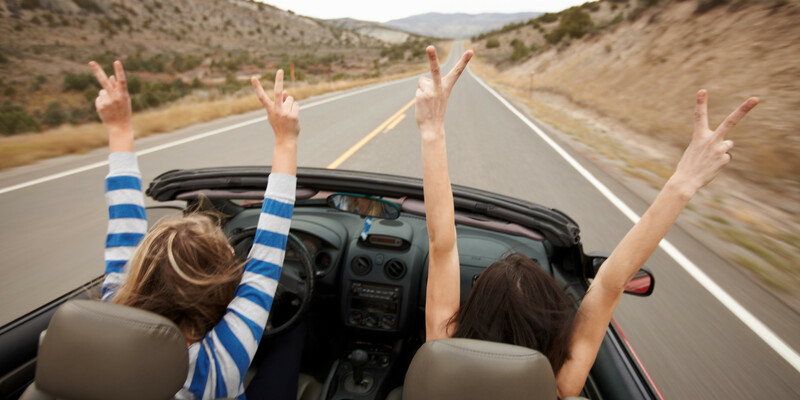 I got my license immediately when I turned sixteen, legal driving age in the US. I had also started my first job recently so I finally had my own cash. I was finally independent. So to celebrate I made my first completely solo drive to the closest record store about half an hour away. I grew up in a pretty rural area, so the back-roads were easy but once I hit the busier roads in town it was pretty nerve wracking and I think I hit a curb at one point. I picked up a used copy of Black and Blue that I had my eye on for awhile, and I was thrilled. I brought that album everywhere, with my silver Walkman. It seems strange thinking about it now, but this was back in the very early 2000s when there was no one click internet shopping, and music downloading was risky uncharted territory. Buying an album was a totally different experience. Being a music fan was so different, and walking uphill both ways in the snow and all. So as strange as it seems now, when I remember that exhilarating first step of independence, I associate that with being a BSB fan. 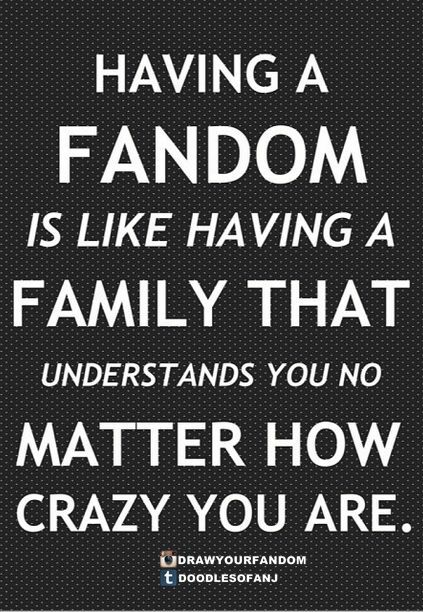 We are “Fan-Mily!” All my fangirl sisters ( or brothers) and me!